Cecily, Reggie and Wilfred reside in a home for retired opera singers in Kent, England. Each year, on the tenth of October, there is a concert to celebrate Verdi's birthday. Jean, who used to be married to Reggie, arrives at the home and disrupts their equilibrium. She still acts like a diva and refuses to sing. But the show must go on in this funny and poignant play. 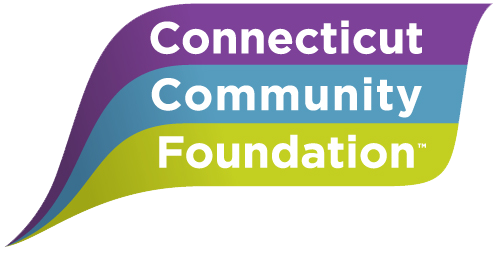 CCF Give Local Support TheatreWorks during this 36-hour event, beginning at 7am on April 23 & continuing through 7pm on April 24. Auditions for Agatha Christie's Witness for the Prosecution By apointment. Sunday, May 19 & Monday, May 20, from 6pm to 9pm. 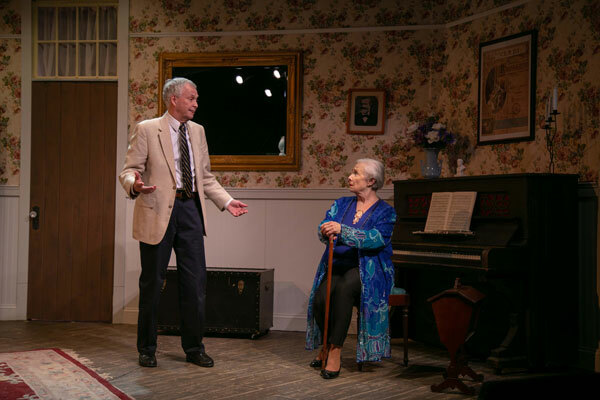 1ST Annual 10 Minute Play Festival The festival will be held at TheatreWorks New Milford from June 4 through June 8, 2019. Theatreworks New Milford shared a post. Check out ‘Quartet’ cast members Tim Breslin and Ron Malyszka on this morning’s episode of Backstage with Eric Lindblom! Now available! TheatreWorks Merchandise! 6 items to choose from - ends April 28th! It’s that time again! We begin our search for our 2020 season! 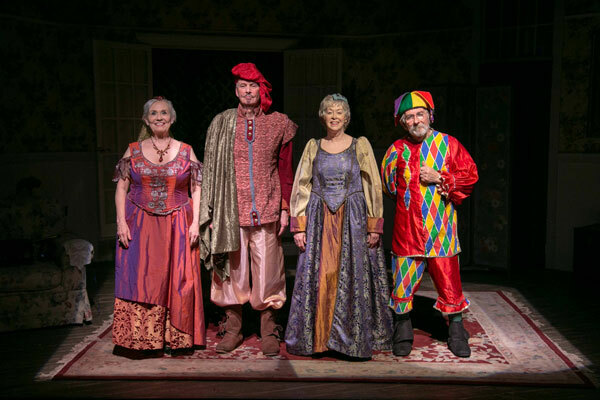 TheatreWorks New Milford, an award-winning non-Equity theatre, is searching for experienced directors, along with pieces they have a passion for. (At the moment, we are NOT looking for original scripts). 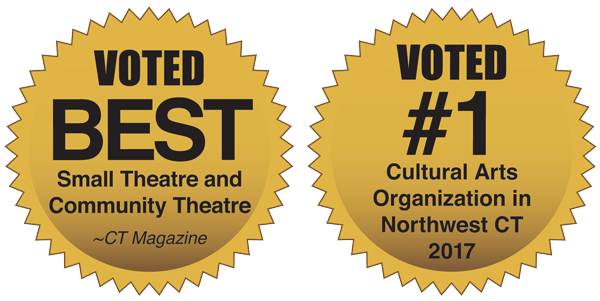 If you've never been to our theater at 5 Brookside Ave in New Milford, CT, we suggest you check out our award-winning website at theatreworks.us. The house seats 112. The maximum-sized cast we can support would be around 20. We ask that you submit any play(s) or small musicals you wish to direct,using the form below by APRIL 30. Theatreworks New Milford updated their cover photo. 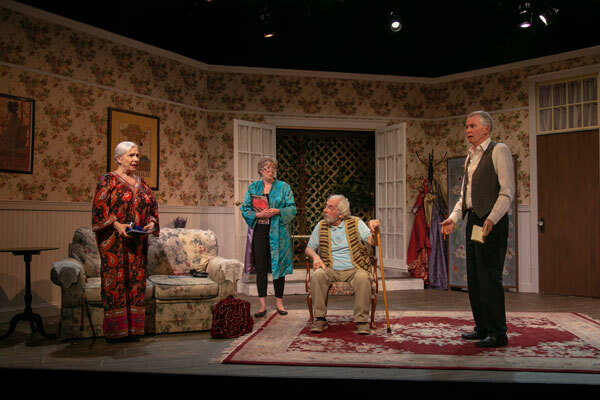 The curtain goes up in just a few hours for this weekend's performances at Theatreworks New Milford, which is offering a "bold, superb" production of a David Mamet work, according to our theater reviewer. Reviews of ‘Race’ are starting to roll in! Three more chances this weekend to catch this wonderful production! Do not miss this production. It's Mamet at his very best. Excellent show.Theatreworks does such a great job with David Mamet’s work.The play November was exceptional several years ago. It’s opening night! Join us starting tonight for this provocative production of one of David Mamet’s finest! Any cast like this makes for must see theater. I do miss the theater community in CT! Oh what a cast!! I can't wait to see it!! Congratulations, Jody, Bradford, J Scott Williams, and Dandy. Race runs for ONLY 7 performances, March 1, 2, 8, 9, 10, 15 and 16. Try to catch that and see “Race”! 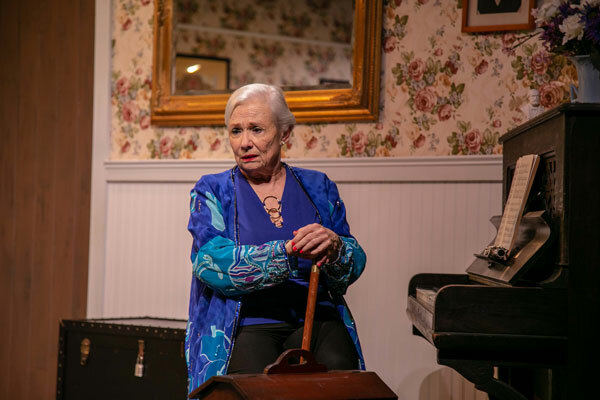 Nancy Sasso Janis shared a link to Theatreworks New Milford's timeline. Due to unexpected inclement winter weather which has greatly affected our rehearsal process, Race opening has been postponed. Check out 'Race' director Francis A. Daley & actor Kevin Knight discussing our upcoming production on the most recent episode of 'Cocktails & Curtain Calls'!Here is this week's episode featuring Kevin Knight & Francis A. Daley from 'Race' at Theatreworks New Milford, running Feb. 22nd-March 16th! EDIT: We have our winners! Congrats to Becky & Angela! Check back in the coming days for more giveaways! 'Race' marks only the third time a David Mamet play has graced our stage. In 1994 we produced 'Sexual Perversity in Chicago' and more recently we produced what presidential satire (set design seen below)? November!!! And yes Tom, you were amazing! One of the funniest plays I have ever seen! november! That was a great show! Check out director Francis A. Daley and producer Lloyd Baroody talking about our production of ‘Race’ on Backstage with Eric Lindblom this morning! The latest episode of the podcast is up! EDIT: WE HAVE TWO WINNERS! Congrats to Diane & Bill for guessing 'Speed the Plow' & 'Glengarry Glen Ross' correctly! This giveaway is closed but watch this space for more ticket giveaways in the coming days! Surprisingly, ‘Race’ playwright David Mamet has never won a Tony Award, but he has been nominated twice. Name ONE of the plays he was nominated for. Theatreworks New Milford shared a link. On February 22, TheatreWorks New Milford will premiere David Mamet's controversial and provocative drama, Race.